This is undoubtedly one of the most picturesque campuses in the Midwest. 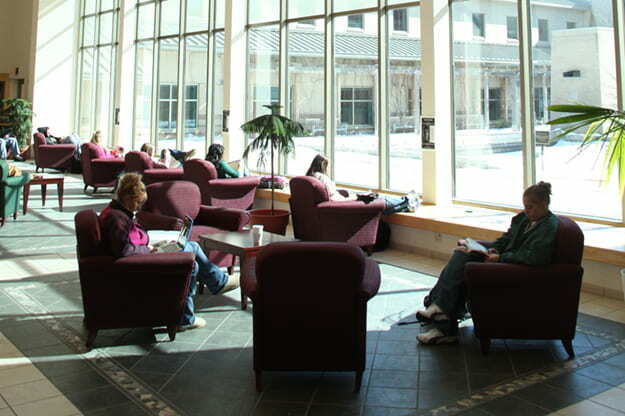 From world-class venues to hidden nooks and favorite hanging spots — indoors and out — there is a great range of locations that are distinctly UW-Green Bay. In celebration of UW-Green Bay’s 50th Anniversary, we compiled a list of favorites. 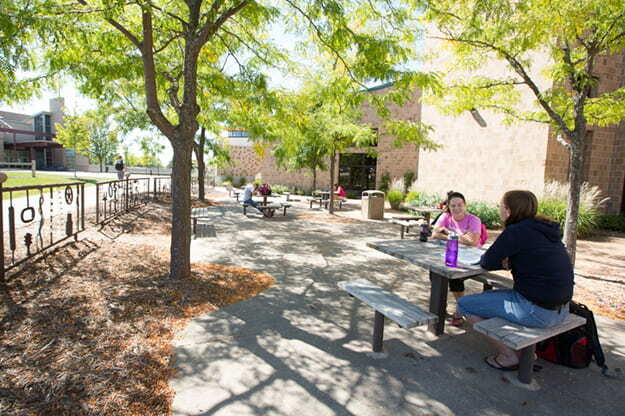 Here are our 50 most familiar spots at UW-Green Bay, in unranked (but alphabetical order). Do you see some we missed? Please comment below. 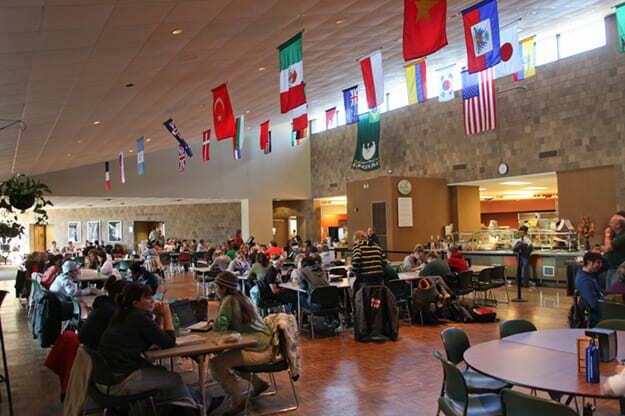 The American Intercultural Center (AIC) shares space with Student Life in the University Union. This space is home to staff offices and a student gathering area. The AIC provides services and activities that promote the academic success, personal growth and development of multicultural students. 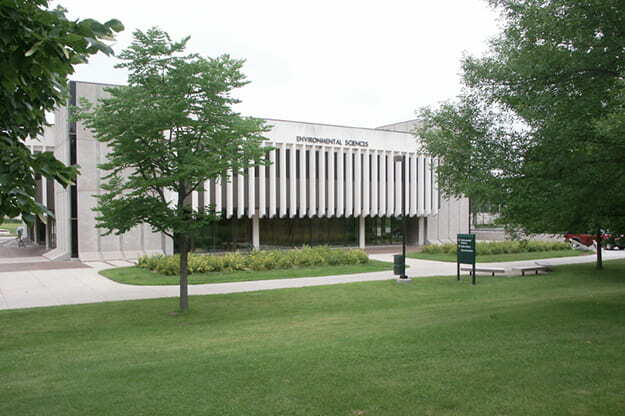 Archives and Area Research Center is located on the seventh floor of the Cofrin Library and is home to original materials documenting the history of Northeastern Wisconsin and UW-Green Bay. 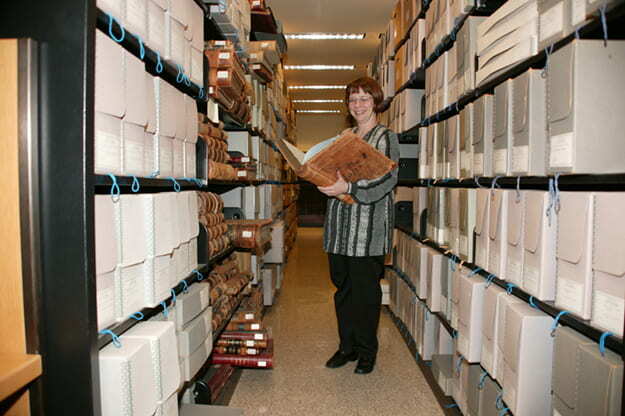 Collections include: photographs, diaries, vital records, campus blueprints, syllabi and more. 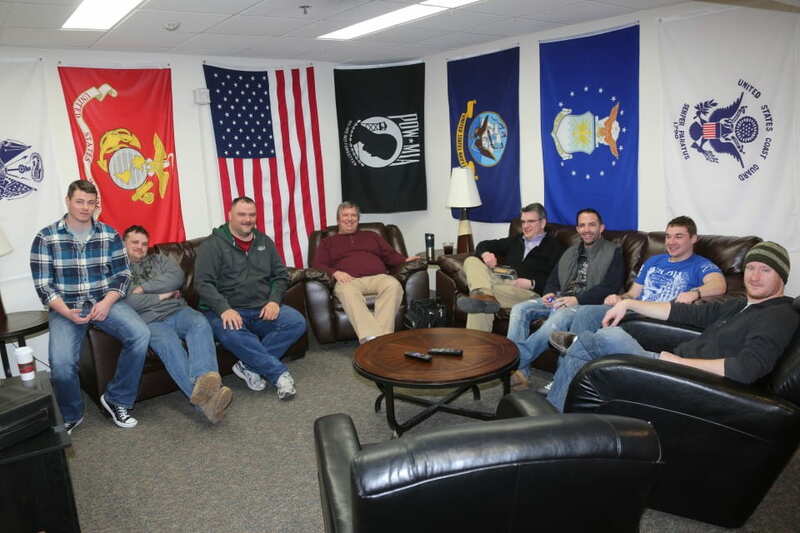 Dedicated February 2014, “At Ease” is a lounge for student veterans and service members to share space with campus community members with similar shared experiences. Furniture for the space was generously donated by alumnus Craig Dickman. The history of gardening on campus began in 1973, when a student requested a plot of land from the Office of Student Life for gardening. 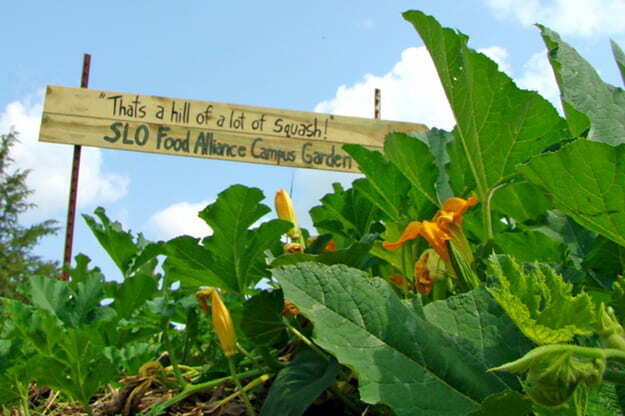 The current campus garden resides on the Student Services Plaza and is managed by Sustainable Local Organic (SLO) Food Alliance, a student organization. Located in Student Services, Career Services is a resource for students on a variety of topics including choosing a major, preparing for interviews, finding internships and post-graduation positions, and selecting and applying to graduate schools. 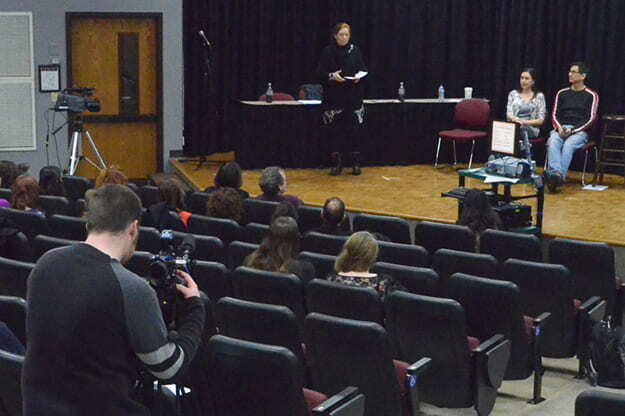 The Center for First Nation Studies is located in Rose Hall and is a resource dedicated to improving and supporting First Nations education and teacher education programs. The Christie Theatre, located in the University Union, is a multipurpose space used for events, presentations, and most famously, Cheapseats. Cheapseats is a series in which newer movies are shown for only $2 a ticket! 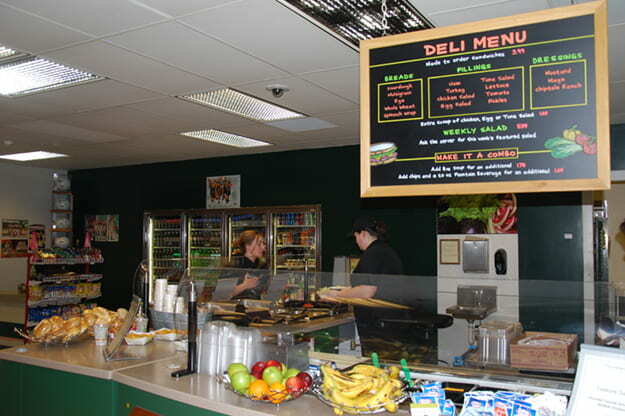 Leona Cloud commons is located in the University Union and is adjacent to a number of campus’s many dining venues. 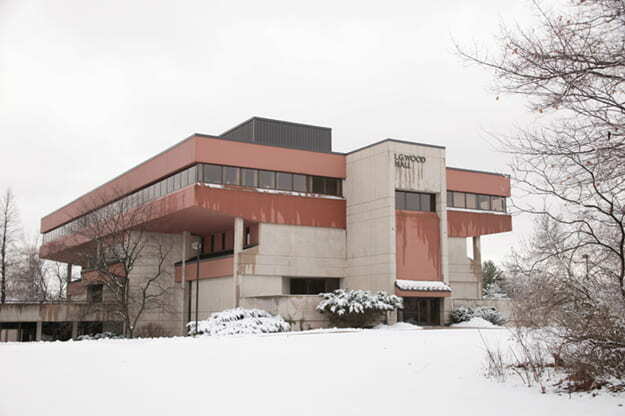 The Cofrin Library was placed at the physical center of campus by founding chancellor Edward Weidner. 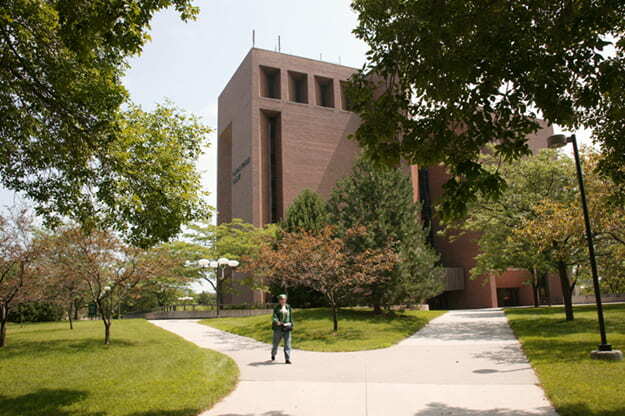 This eight-story building is home to an award-winning library, the Garden Cafe, the Writing Center, the Tutoring and Learning Center, Outreach & Adult Access, the Office of International Education, University of Wisconsin-Green Bay Archives and Area Research Center, the office of the Chancellor and many more offices. Additionally, the 8th floor is home to a wonderful view of the bay of Green Bay and Lambeau Field. 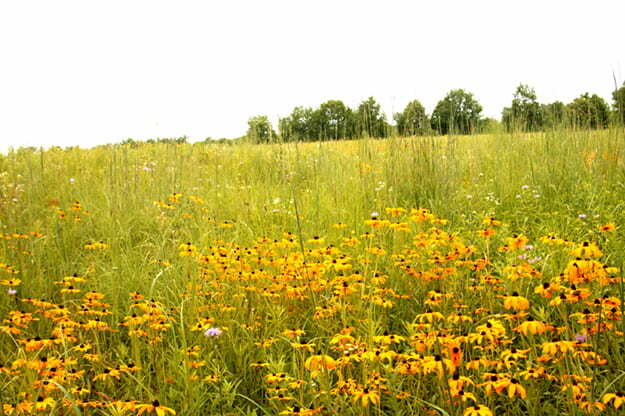 The UW-Green Bay campus is encircled by 290 acres of the Cofrin Memorial Arboretum. This space has been restored and preserved to to protect Wisconsin’s ecological communities and to provide the campus and community with ready access to space for recreation, field trips, research and appreciation of nature. The Arboretum is home to more than six miles of trails, approximately 45 mammal species and more than 200 bird species. 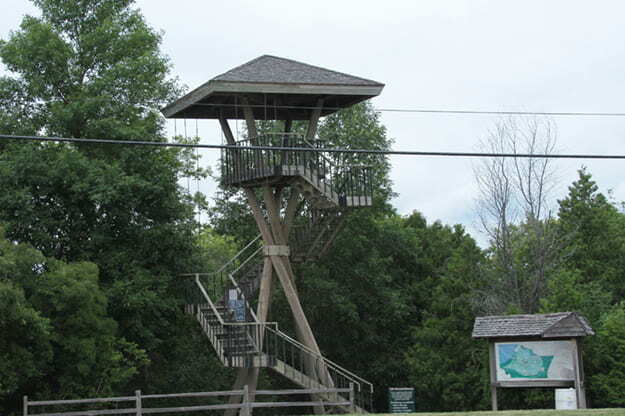 This 40-foot tower sits above the Niagara Escarpment along Bay Settlement Road and offers visitors a panoramic view of campus, arboretum and Bay of Green Bay. 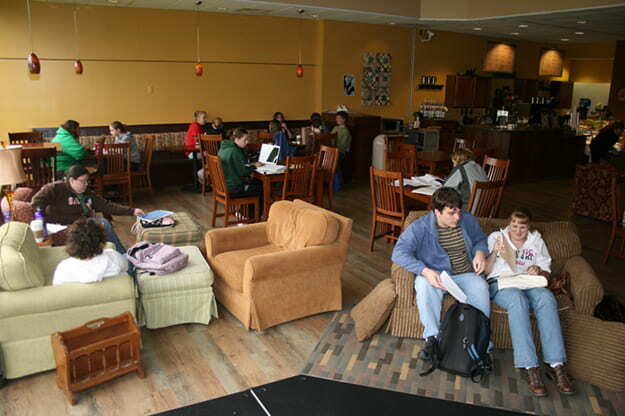 Common Grounds, located in the University Union, is a cozy place to study, watch an open mic performance, sip on a tasty beverage, chat with friends and curl up by a fireplace. 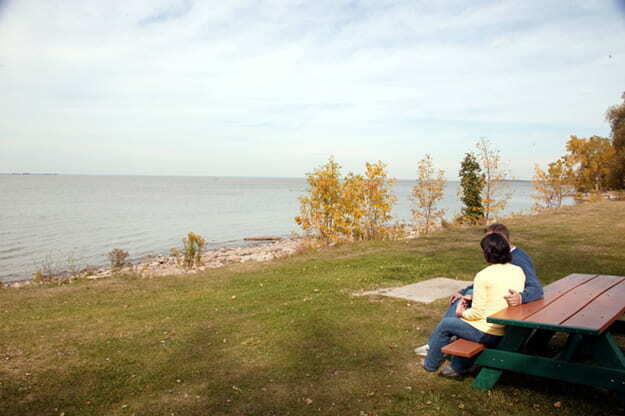 Located on campus, along the bay, Communiversity Park is a small public green area that offers space for grilling and picnicking as well as a wonderful sunset view. 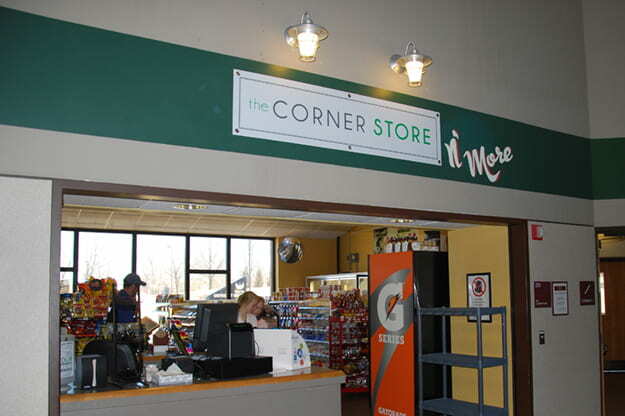 The Corner Store, in the University Union, is a quick and convenient location for students to purchase snacks, candy, frozen food, grab ‘n’ go meals, produce and more without leaving campus. 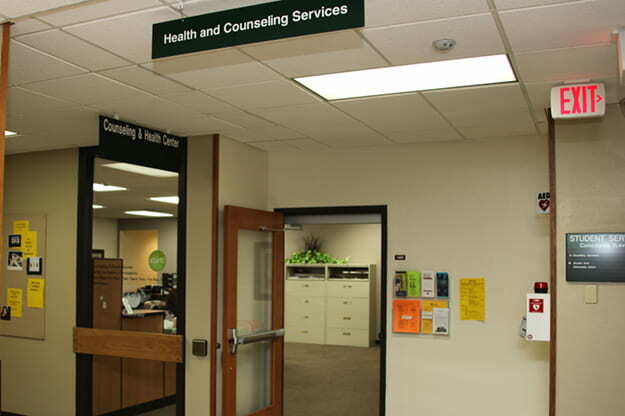 The Counseling and Health Center, located in Student Services, provides an on-campus medical clinic and opportunity for counseling on personal and social concerns. 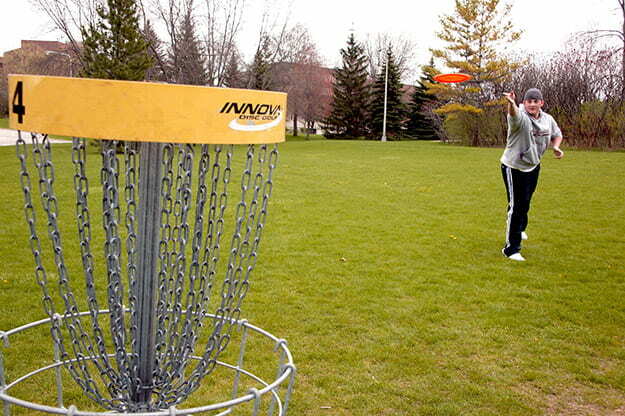 UW-Green Bay’s nine-hole disc golf course flanks Main Entrance Drive and is free and open to the public. Environmental sciences is an academic building on campus. 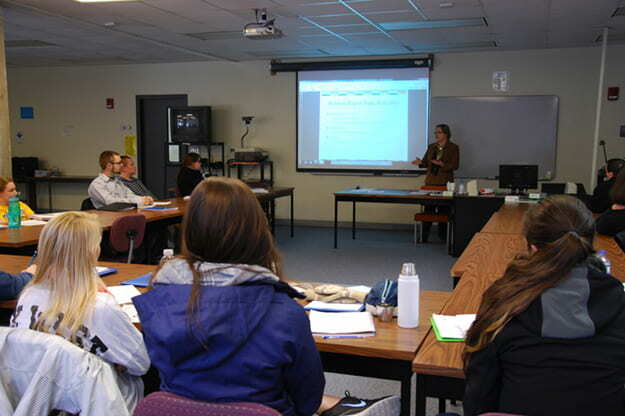 It is home to classrooms and offices, including the Environmental Management and Business Institute (EMBI), a unique program responsible for hosting an annual conference on sustainability, a student certificate program and internship opportunities. 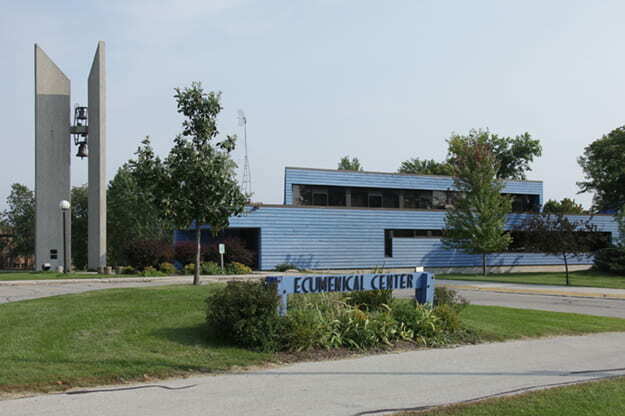 The Hendrickson Community Center, also known as the “CC”, is located in Residence Life and serves as the “front desk” for all students living on campus. 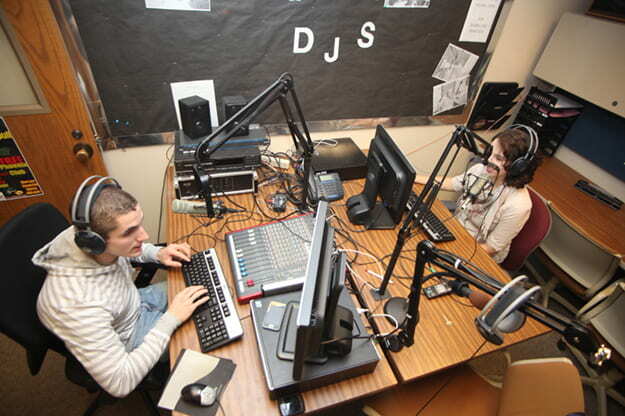 The CC offers study, meeting spaces and programming spaces and mail, computer, and vending services, and it houses offices of Housing and Residence Life. 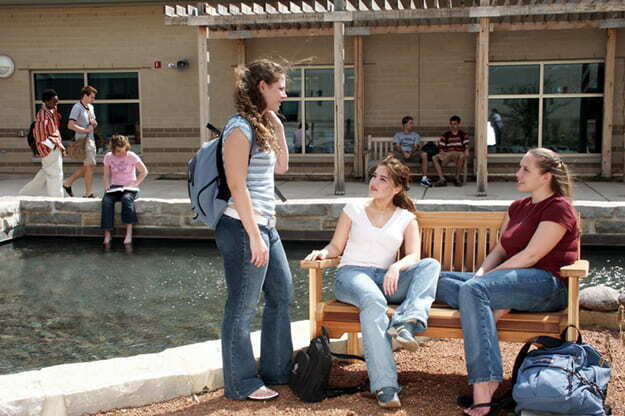 Our much-praised Residence Life complex accommodates the approximately 2,000 students that call campus home. Every apartment suite or residence hall room has a private bath! Located on the lowest level of the Cofrin Library, the Garden Café, is a convenient stop for hungry members of the campus community. On the menu: sandwiches, soup, paninis, salad, a daily featured entrée and more. The Garden Café is also home to the popular Mexican Tuesday specials. Also on the first floor of the Cofrin Library, the Garden Café lounge is often occupied from early morning to late night with the campus community for studying, socializing, dining and more. 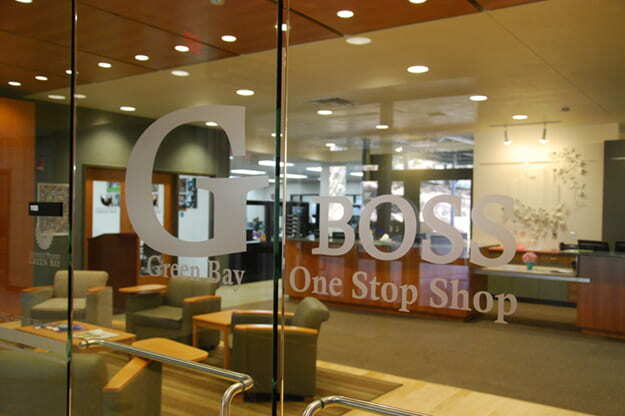 GBOSS stands for Green Bay One Stop Shop, and GBOSS staff tout that they can answer virtually any question you may have about UW-Green Bay. 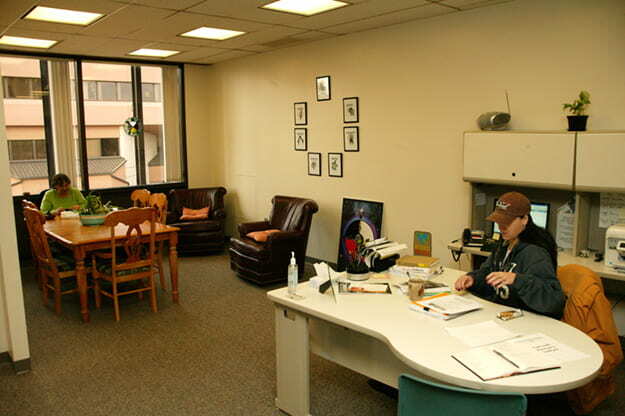 This office is located, of course, in Student Services. Located in Instructional Services, the General Access Lab contains over 200 computers, Mac and PC, for student use as well as reservable project rooms. 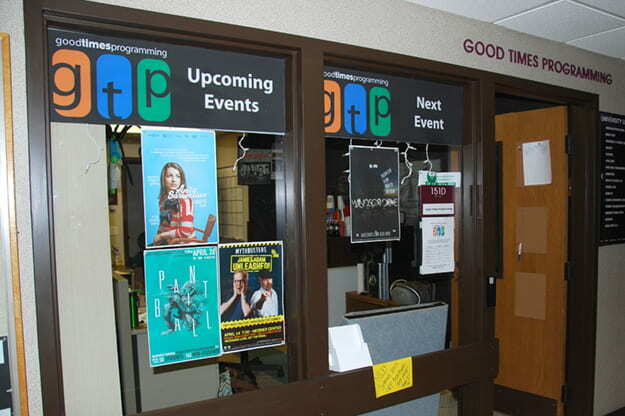 This office, located in the University Union, is home to the student organization responsible for many of UW-Green Bay’s good times. This team of Students organize and plan student life events for campus from comedians and bands to guest speakers and adventure trips! 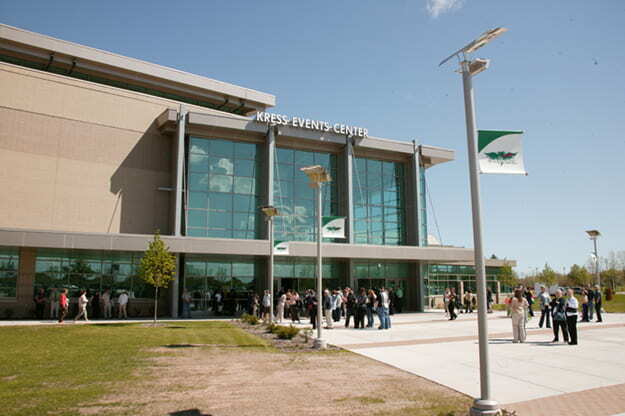 The Kress Event Center opened in 2007 and boasts a fitness center, aerobics studio, climbing tower, 96-foot swimming pool, gyms, a turf gym, and the 4,000-seat arena in which Green Bay Phoenix Women’s Volleyball and Basketball teams play. This academic building houses state-of-the art lab spaces and equipment which offer students hands-on and unique research opportunities. 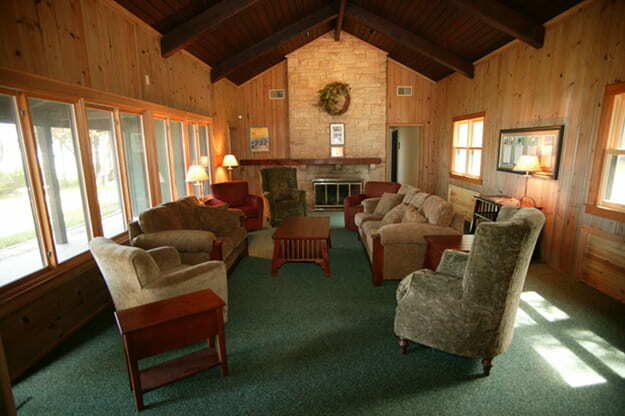 Lambeau cottage was once the part-time home and entertainment retreat of Green Bay Packers co-founder and coach E.L “Curly” Lambeau. The University purchased the cottage in 1978 and it had been used as a bay shore arboretum center, headquarters for the sailing team and a retreat site for the philosophy program. In 2005, philanthropist and alumnus Craig Mueller donated funds to renovate the space. Currently the cottage is reservable and is used for meetings and events. 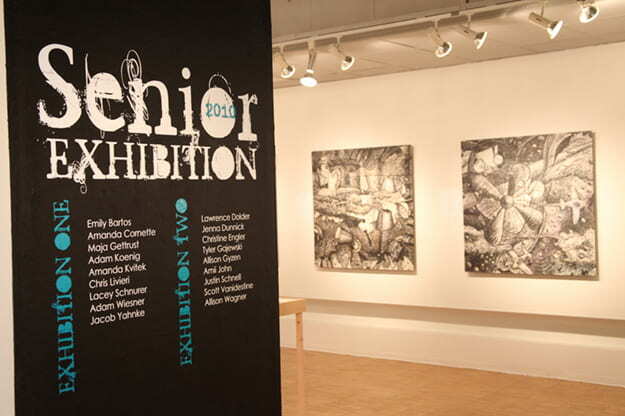 The Lawton Gallery, located in Theatre Arts, showcases the work of students and faculty as well as regional, national and international artists. In addition to showcasing student art, the gallery allows students the opportunity to receive hands-on experience in the day-to-day operations of a gallery including exhibition design and installation. The scenic Lenfesty Family Courtyard is located in the center of Mary Ann Cofrin Hall and features a trellis, fountain, ecologically responsible architecture and native plants. Additionally, this space is now home to a marble Da Vinci bust donated by our sister institution in Florence, Italy. This space can be rented and reserved, and it is not uncommon to witness an event such as a wedding taking place in this unique space. The newest of all academic buildings on campus is Mary Ann Cofrin Hall. MAC Hall was built in 2001 with an environmental focus in mind. The building capitalizes on daylight and uses photovoltaic glass, room occupancy sensors, and other energy-efficiencies. While this building host classes of a wide variety of academic focuses, it is also home to specialized lab space for natural history, plant and animal life, social science research, geography, mapping, environmental design, media analysis, computer science and nursing. Additionally, MAC Hall is home to valuable collections such as the Richter Natural History Collection and Wisconsin Bird Atlas Collection. 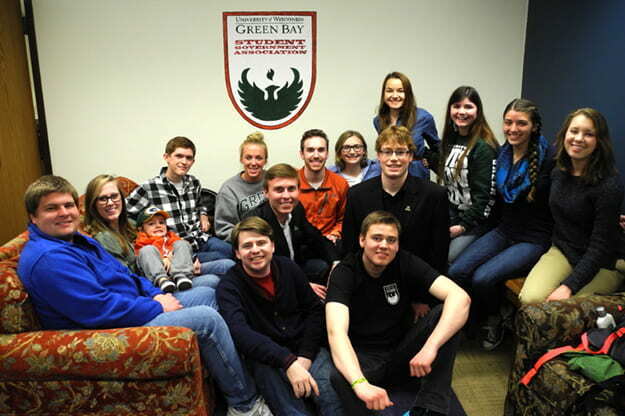 From ballroom dancing to Sunday services, the Mauthe Center collaborates with student organizations, churches, civic and community groups and individuals to bring a variety of programs to the area. The Phoenix Bookstore is the official bookstore of the University. The Phoenix Bookstore also offers a wide variety of UWGB apparel, school supplies, gifts and more. Currently, the Phoenix Bookstore is located in the University Union. 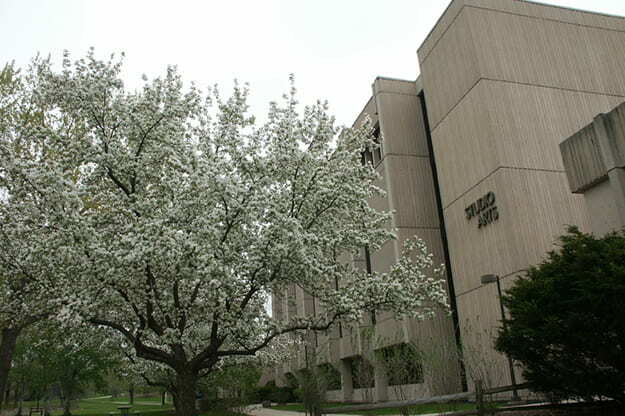 Past homes to the bookstore include: Instructional Services (formerly known as Instructional Resources Building) and the plaza level of the Cofrin Library (pictured above). 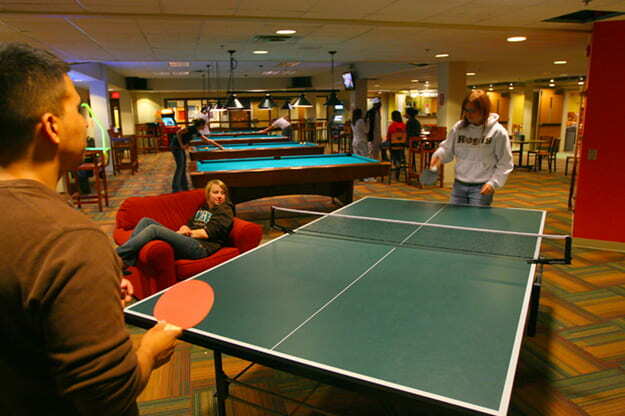 This hangout is located on the first floor of the University Union and offers TVs, music, pool, ping pong, air hockey, foosball, shuffleboard, darts, Playstation 2 & 3, Wii, board games, and concessions stand style snacks. 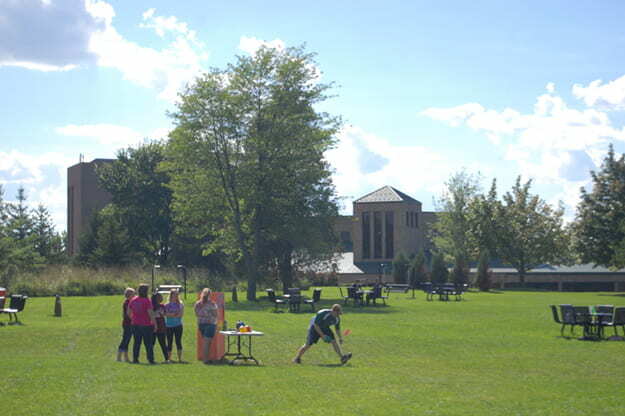 This space between the University Union and Residence Life connects the two areas of campus and features open space for activities and two sand volleyball courts. The Pride Center is located in the University Union. 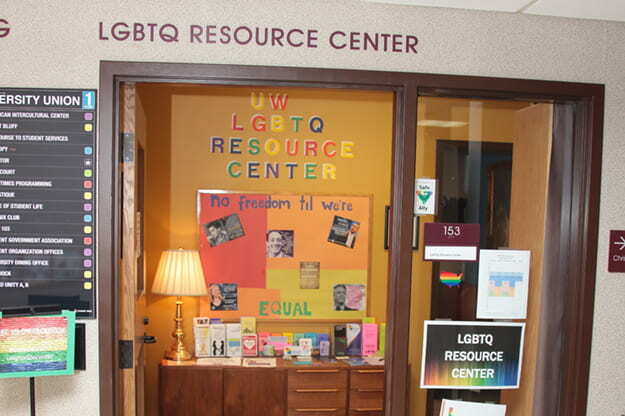 The center provides LGBTQ students, staff, faculty and allies with a welcoming social space, a library of resource materials, supportive staff and social and education programing. 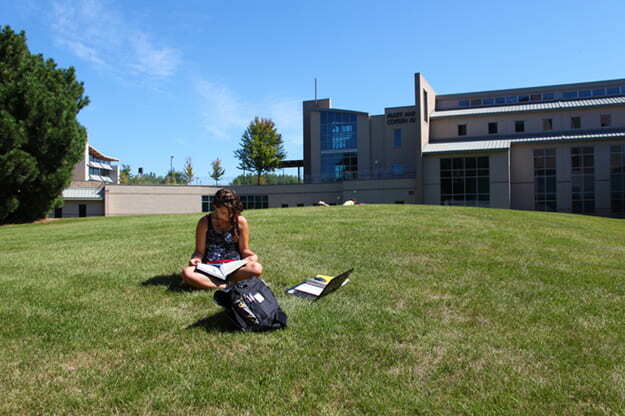 The Quad, the grassy space between Mary Ann Cofrin Hall, the Cofrin Library and Student Services, makes for a great place to enjoy a beautiful day, study or to hold class outdoors. 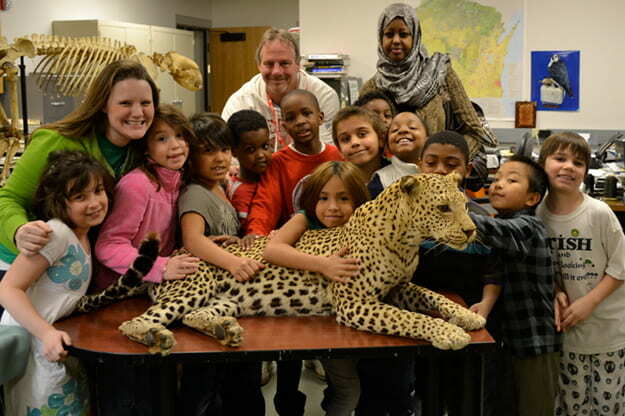 The Richter Museum of Natural History, a collection gifted to the University and located in Mary Ann Cofrin Hall, contains one of Wisconsin’s most significant collections of animal specimens for scientific research and education. 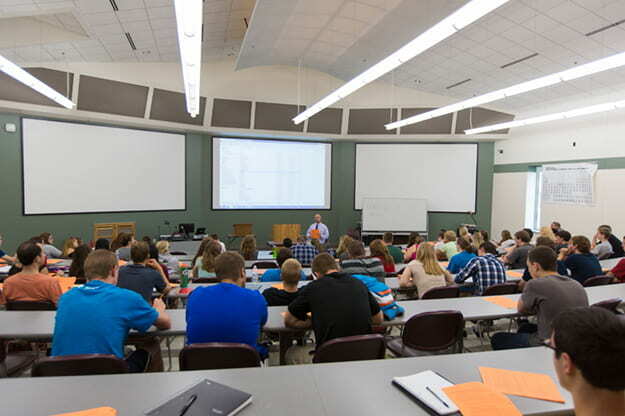 Academic building Rose Hall is home to the largest lecture hall on campus! 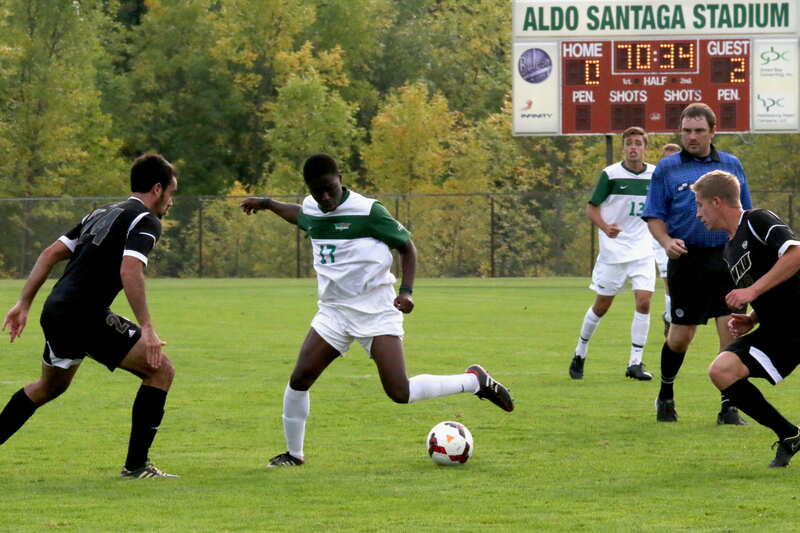 Aldo Santaga Stadium is the home field for Green Bay Phoenix men’s and women’s soccer teams. This field is a lit surface (by lights formerly used to light Green Bay Packers football games, fun fact.) with natural grass. This public, nine-hole golf course found on campus provides a challenging golf game and scenic landscape. 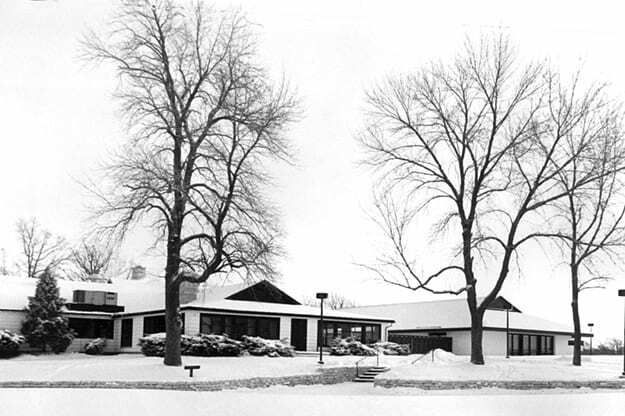 The old Shorewood Clubhouse complex (pictured above) served as the student union during the first decade of UWGB. 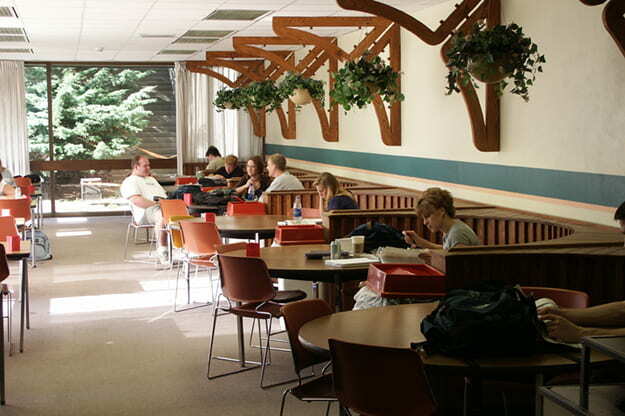 This area of the University Union, home to some campus organizations, is often bustling with students studying, meeting, eating and hanging out. 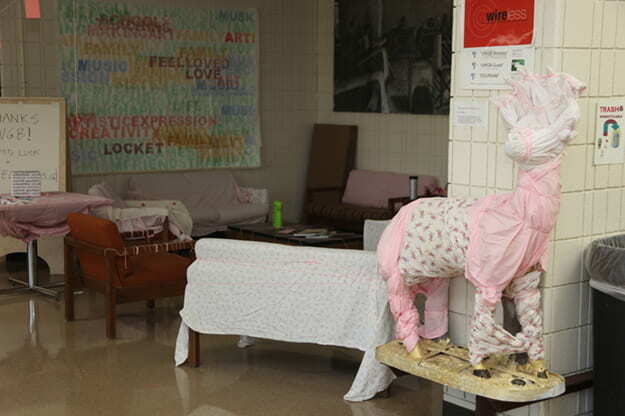 This pocket in the Studio Arts building offers seating, vending and, of course, art! It is seen above decorated for “Pink Week”, which occurs in November. Most commonly known as the “SA Cafeteria” in the years following the building’s opening in the mid-1970s, it was famous as a hangout for art, music and writing students and creative free spirits from any major. Theatre Hall is an academic building on campus. Living up to its name, it contains the University Theatre, which seats up to 482; an acting studio; a dance studio; scene shop; costume shop, dressing rooms, classrooms; a CAD and Sound Lab and the Lawton Gallery. 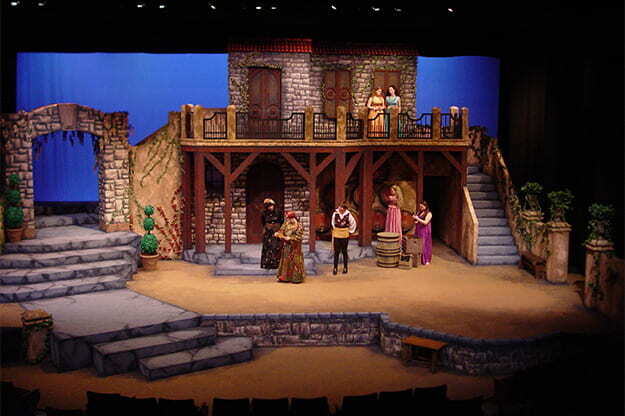 Pictured above is the set of the 2009 UW-Green Bay Theatre production of Shakespeare’s “Much Ado About Nothing,” put on in the University Theatre. One-to-one tutoring is provided to students for free for a variety of courses in this space located in the first floor of the Cofrin Library. As the student-focused “living room” and hub of the campus, the Union offers campus information and ID services, dining services, recreational and entertainment areas, events spaces and support, study and lounge areas, event ticketing services, and many other conveniences. The Weidner Center is a top-notch performing arts center located on campus. 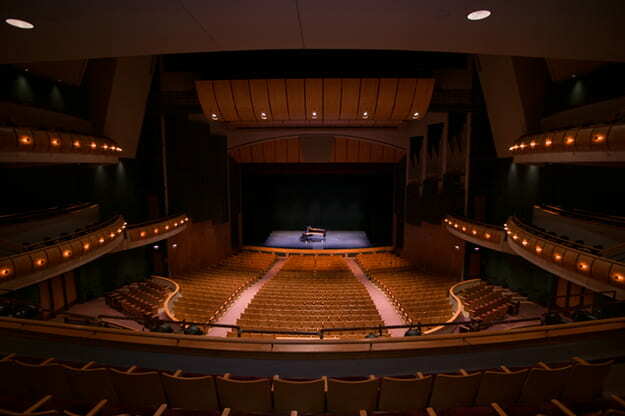 The Weidner Center’s outstanding acoustics, physical beauty and state-of-the-art accommodations combine to make it one of the finest performing halls in the United States. 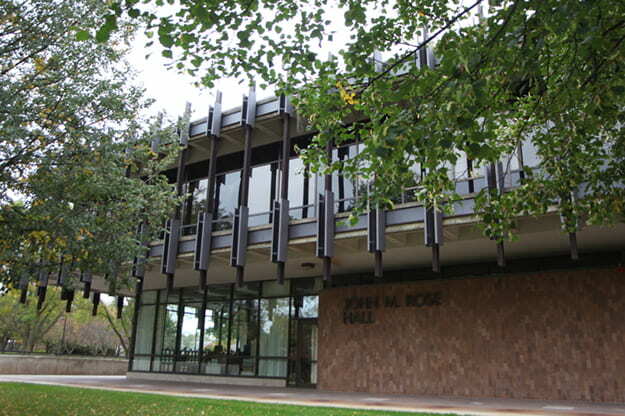 This academic building is home to the Business and Education programs and the Rosewood Cafe! 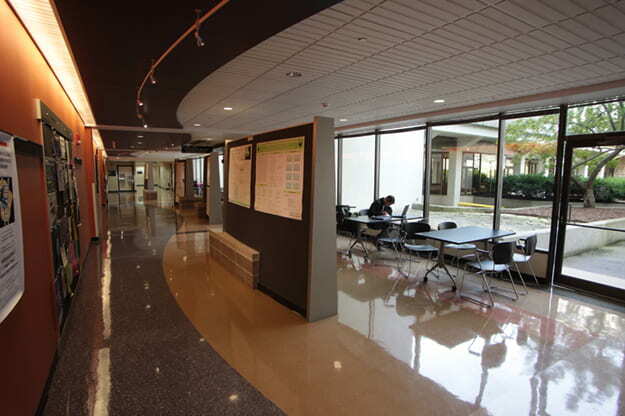 The Writing Center is located on the first floor of the Cofrin Library. This resource provides faculty and student staff available to assist students at any stage of the writing process to become better writers. This entry was posted in Features and tagged 50 list, campus on May 19, 2015 by Kimberly Vlies. I graduated in ’76. That does not look like my campus, nor do any of the names reflect any of the truly great people who started UWGB. Very sad and extremely disappointing. Thank you for the memories! These brought a huge wave of nostalgia over me. So much has changed but it has been 21 years! Yikes!